We are proud to announce that we have picked up gold awards from CWSA, the most biggest wine and spirit awards in China. We have won Double Gold for its Matahiwi Pinot Gris 2015 and Mt. 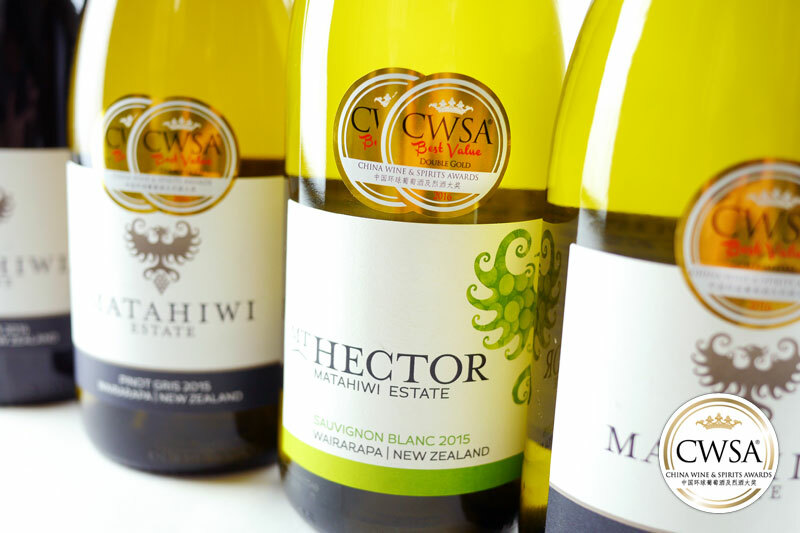 Hector Sauvignon Blanc 2015, and also a Gold for Matahiwi Sauvignon Blanc 2015. As a family owned company with a small dedicated team our goal is to enhance the pure natural flavours from the fruit and the vineyard. To see results like these shows the hard work is paying off!